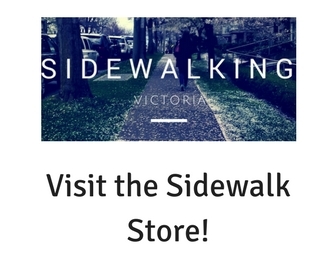 If you are wondering why Sidewalking Victoria has been so quiet, it is because I have been on vacation! Needing somewhere to get away to for Spring Break with my kids, I settled on Seattle, which despite being so close to us, I had really not spent any time in since I was a teenager. Since I had my kids, we spent a lot of time going around to some of the sights and I will go through some of the best ones. Another thing that is fun about Seattle, especially if you are a bit of a transit nerd are the sheer amount of fun ways to move around the city. Finally, I will give you an overview of two of the neighbourhoods that I actually spent some time in, I know that there are a lot of places I didn't get to but that just leaves lots of opportunities to go back. There are so many options of things to do in Seattle that it was hard to choose which ones to see in a limited time and which ones to skip. Wanting to keep my kids entertained played a part, but I honestly enjoyed each of the places that I visited. The first place, which is a bit of a way out of downtown, was the Museum of Flight. As you will see on their website, this is the largest independent, non-profit air and space museum in the world. That definitely means it is not the biggest, but it is huge! There are multiple galleries, each with dozens of real full sized aircraft including a building that has a 747, a 727, an original Air Force One and a Concorde. You could spend a day if you wanted to really read and do everything but even going relatively quickly it takes about 2-3 hours to go through. Less exciting for adults, but fun for the kids was the Pacific Science Center. When I was young this place was absolutely amazing, having recently gone to Science World in Vancouver, I found it to be fairly similar. Still lots of different activities. My personal favourite was the Smell Synthesizer which must have had about 20 pre-loaded scents that you can mix up. Lots of fun. We also visited the Museum of Pop Culture (formally the Experience Music Project). This place was amazing for kids and adults. I loved the sci-fi movie props. There are still all the interactive music parts that I first heard about and it seems they have broadened the focus to allow more gaming and movie exhibits. Sponsor message: Want some ideas for other places to visit in the United States? Check out the blog, All the Rooms, they have more ideas than we have time to travel! We also made a stop at Pike Place Market and the Amazon Go store. I know that there are other places like the Seattle Underground that are supposed to be amazing so lots to still do on the next trip. If you love riding on different types of transit, Seattle has you covered. On the day we went to the science center, after walking from our AirBNB we hopped on the South Lake Union Streetcar which conveniently takes you to Westlake Center. Here you can hop on either the LRT line that heads out to the airport or you can head up above and ride the monorail that was built for the 1962 World's Fair. I thought that the monorail would be kind of slow, but it got going really fast. The best part is its retro cool look though. There are of course buses and ferries as well if you really want to go crazy. If you bring your bike, it seems like everywhere we went there were lots of protected bike lanes, so it would be pretty easy to get around. We were staying on the east side of the Queen Anne neighbourhood which was a pretty cool place. The centre of the neighbourhood is Queen Anne Avenue. This area has lots of little places to eat and shop. Keep in mind that this neighbourhood is built on the top of hill and depending on which street you walk on, you can be in for quite a climb. If you need to stock up a kitchen there is both a Trader Joe's and a Safeway. Fremont is the neighbourhood just to the north and across the bridge from Queen Anne. Fremont is definitely more the hipster cool to the Queen Anne yuppie. There are lots of coffee shops, noodle bars, taverns and quirky little stores. Fremont is fun to walk around as you kind find all sorts of funny landmarks. Within about a five minute walk you can find a rocket ship, a statue of Lenin and a giant troll hiding under a bridge. If you are looking for an urban getaway from Victoria, Seattle is one of the best options we have.